Cool, fresh, and ultimately breathtaking, Los Quetzales National Park is a can’t-miss location during your Costa Rican travels. This Talamanca mountain range national park feature presents guests with mossy hardwoods, alpine planes, and several different highland birds amongst a gorgeous haze of clouds, one of the most scenic local wildlife viewing opportunities you may have during your trip. 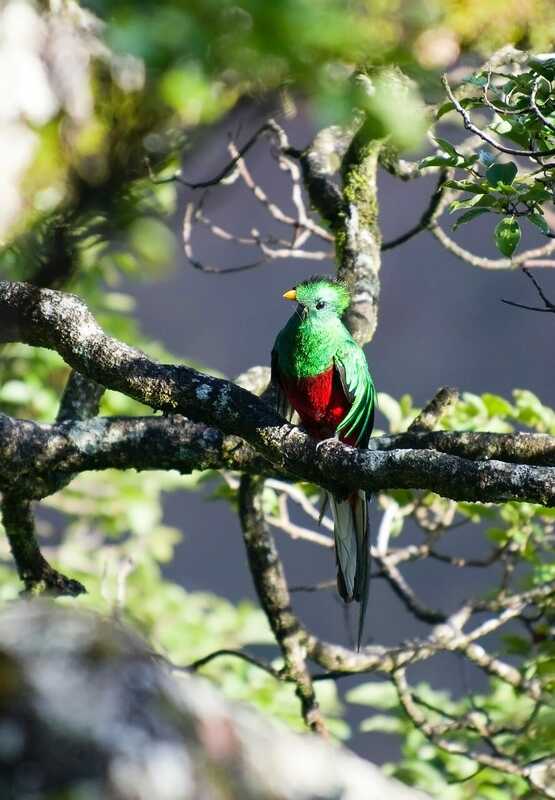 It will be easy to understand why this park was named such upon its establishment in 2005, the 12,000-acre area holding a large population of Resplendent Quetzals. These easily identifiable crimson and green birds feature a flowing tail feather collection and overall shy attitude, a difficult bird to happen upon at times. The park's elevation of 6,500 to 9,800 feet above sea level gives the area a unique collection of wildlife, with over 200 species of birds (trogons, redstarts, wrens, woodpeckers, etc), and animals such as the Baird's Tapir, Tayras, coyotes, pumas, and jaguars. Most visitors enter at the ranger station near San Gerardo de Dota, though there are several other entrance points around the park's border. You can learn quite a bit from a ranger-led hiking tour or quick info session while here, such as information on the sheer diversity within the 14 different ecosystems within. Be sure to wear layers during your visit and perhaps bring a raincoat if you plan on taking a trek on any of the 8 different trails, the temperature stays between a cool 65 and 70 degrees typically with frequent mist or rain.